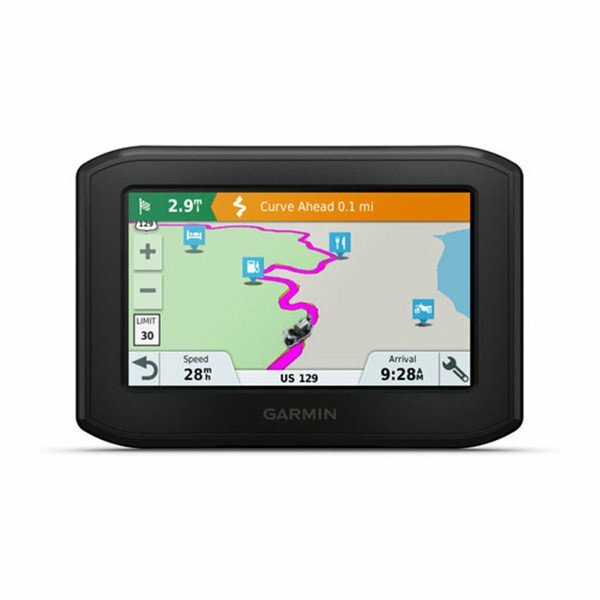 Garmin Zumo 396LM motorcycle GPS offers exciting, adventurous routings for those twisty, hilly, terrain-hugging roads -plus glove-friendly, sunlight-readable displays, lifetime maps, onscreen music control for compatible MP3 players or smartphones and rider alerts when approaching sharp curves, animal crossings or nearby red light and speed cameras. Bluetooth lets you make and receive calls while your hands stay on the handlebars. With its rugged all-weather construction, wireless connectivity features and glove-friendly 4.3” touchscreen display, our zumo 396 LMT-S motorcycle navigator is built to turn straightforward rides into twisty, gnarly, road-gripping adventures. And you can share the good times with your friends. 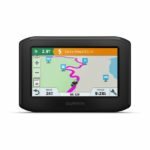 Featuring Garmin Adventurous Routing selections that help you avoid those boring highway routes, zumo 396 LMT-S lets you specify routing preferences that look for those winding, hilly, terrain-hugging rides you love. You can easily send GPX files from your phone4 to your zumo, or share GPX files with fellow riders so you can all follow the same route. When zumo is paired with your phone, the wireless Smartphone Link app also enables LiveTrack, a nifty feature that lets friends track your whereabouts in real time whenever you’re out on a ride. For added convenience, just sync your zumo with a compatible smartphone and a Bluetooth-enabled headset or helmet (sold separately) to make and receive wireless calls5 without having to remove your gloves or helmet. Stow your phone in a pocket or saddlebag, and you’ll still have the benefit of hands-free calling without diverting your attention from the road. You can also receive customizable smart notifications for calls, texts, app alerts and more. Plus, you can even control music3 and playlists from your smartphone, right on your zumo navigator’s display. So you can take your own soundtrack along for the ride. What’s happening on the road ahead? zumo 396 LMT-S can connect you to live traffic and weather information via the wireless Smartphone Link app. This free mobile app connects your zumo with your iPhone® or Android™ smartphone. 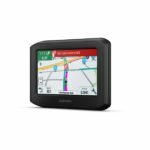 It’s easy to keep your maps and software up to date, because the zumo 396 LMT-S features built-in Wi-Fi. When a new update is available and you’re connected to a Wi-Fi network, you’ll automatically receive an onscreen notification to perform the updates with the touch of a button. There’s no need to plug your zumo into a computer. To enhance road awareness and encourage a safer ride, zumo 396 LMT-S provides helpful alerts for sharp curves ahead, speed changes, railroad and animal crossings, school zones and more. You’re also notified when you need to check state helmet laws — or when you’re about to drive the wrong way on a one-way street. You’ll receive alerts for nearby red light and speed cameras6. Plus, for longer rides, a fatigue warning7 will even suggest break times and potential rest areas worth considering after hours on the road. For added peace of mind, your zumo navigator’s built-in Automatic Incident Notification8 feature sends a text message with location information to your predetermined contact if an incident occurs. A built-in trip computer with digital fuel gauge comes standard with your zumo 396 LMT-S. So it’s easy to estimate how many miles you can ride before you’ll be running on empty. Dynamic fuel stop alerts prompt you when it’s time to refuel and even provide gas station location options. A helpful speed limit indicator lets you know when it’s time to throttle down. Plus, a digital compass display and a database of motorcycle-specific points of interest (POIs) are on hand to help you locate cycle repair services, dealers and more. There’s also a Service History Log on your zumo to help you keep track of service dates, mileage and performed maintenance on your bike. zumo 396 includes detailed maps of North America8, millions of Foursquare® POIs and new TripAdvisor® ratings for restaurants, hotels, and attractions along a route or near a destination. As you ride with zumo 396 LMT-S, Active Lane Guidance provides voice prompts and brightly colored arrows on the display to indicate the proper lane needed for your next turn or exit. Junctions and interchanges on your route are displayed to ease navigation through complex transitions. Also, the zumo Up Ahead feature lets you easily see places of interest and milestones along your route, without leaving the map view on your navigation display. Easy Route Shaping lets you add a point on the map to adjust your route, so you can ride through preferred areas or follow specific roads. Plus, hearing spoken street names and navigation commands helps keep your focus on the road. 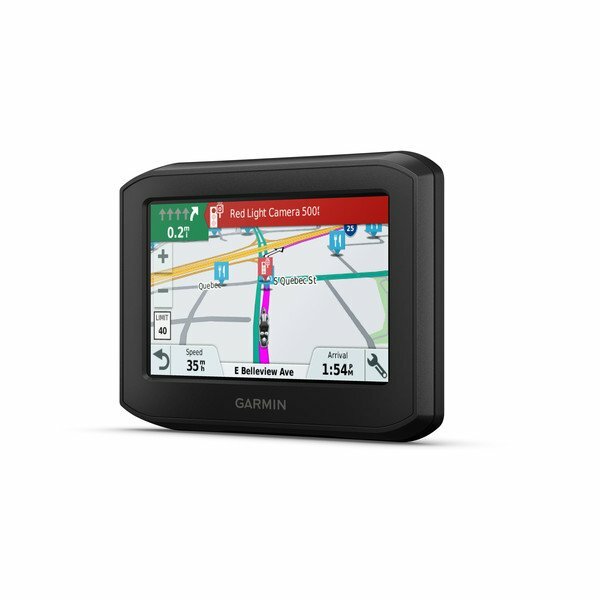 The Garmin Real Directions™ feature provides guidance by using recognizable landmarks, buildings and traffic lights (e.g., “Turn right after the red building”). There’s also a handy TracBack® feature on zumo that allows you to navigate the same route in reverse for your return trip. Designed by bikers for bikers, the robust zumo 396 LMT-S puts a lot of road-savvy technology between your handlebars. It features a built-in trip computer with compass display, a speed limit indicator and an intuitive touchscreen interface that makes entering information easy and quick — even with your gloves on. The rugged case is resistant to fuel vapors, UV rays, rain and other harsh weather elements.